Moldova's government, parliament and the National Bank (NBM) have showed that they have the ability to work as a team when it comes to delivering on commitments taken under the IMF supported program IMF Resident Representative in Moldova, Volodymyr Tulin, believes. In his opinion, Moldova's authorities deserve to be commended on their team effort. In an exclusive interview with Profit magazine on July 17, Volodymyr Tulin spoke about the IMF-Moldova cooperation and the situation in the banking sector. 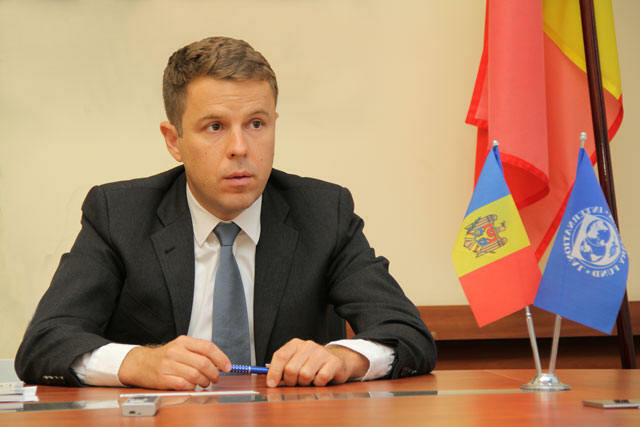 Profit: Mr. Tulin, Moldova's three-year program with the IMF (November 2016-November 2019) is at mid-term. What could you say about the implementation of the program so far? V.T. : The Moldovan authorities remain firmly committed to the comprehensive program of reforms that they developed to strengthen the economy and address key vulnerabilities. Generally speaking, the progress thus far indicates that the program remains broadly on track, macroeconomic stability has been secured, and the economy continues to strengthen. That said, a good number of milestones remain to be achieved in the second half of the program. It is therefore vital to stick with strong commitment to sound policies and good economic governance to reinforce the progress that has been achieved and raise Moldova's economic prospects. Profit: On 29 June, the Executive Board of the IMF completed the Third Review under the Extended Credit Facility (ECF) and Extended Fund Facility (EFF), a step that made available about 33.8 million dollars for Moldova. Does it mean that the IMF is fully pleased with the actions taken by the Moldovan authorities to implement the memorandum? V.T. : Since the completion of the Second Review in December of last year, the Moldovan authorities have taken important actions to implement the next set of policy commitments under the program.  On the basis of staff-level agreement reached in March this year, and satisfactory implementation of agreed prior actions, the staff of the IMF and subsequently the Executive Board of the Fund have supported the completion of the Third Review. Of course, we have to be clear that strong efforts are still needed to further improve governance, complete the repair of the financial system, and also undertake more decisive action to recover stolen assets. Profit: Which of the commitments that Moldova still has to fulfil look rather difficult, from the government's point of view? V.T. : You should better ask the government. 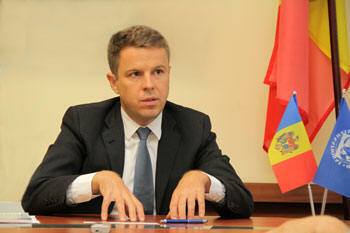 But from our standpoint, the type of arrangement that Moldova has with the IMF, a so-called extended arrangement, aims to help countries implement comprehensive programs of structural reforms that address deep institutional or economic weaknesses, in addition to policies that rebuild and/or maintain macroeconomic stability. This program is built on reforms that require time, strong effort, and are imminently difficult. So, I would say that by design of this arrangement, there are no commitments or objectives that are even meant to be easy. Profit: Moldova's authorities show steady confidence as regards the fulfillment of the conditions stipulated in the program with the IMF. Does the IMF share this confidence? V.T. : Although, as I said, a lot has been achieved and the authorities are confident in delivering on policy commitments, we are not yet at the point where we can consider this progress as irreversible. For that, political commitments are vital to the continued successful implementation of the program. It is important that prudent policies are maintained and reforms continue to be advanced in the remaining program period. For example, it would be essential to avoid budget overruns ahead of the parliamentary elections. Today, some institutions are more insulated from political interference than in the past, including as a result of reforms undertaken under this program. For instance, the NBM today is more protected from political or outside interference than before, so this helps instill more confidence. Profit: How would further cooperation with the IMF look if the government successfully fulfils the current program with the IMF by November 2019? But if not? V.T. : Needless to say, the Moldovan authorities still have a huge amount of work ahead to deliver on improvement of incomes and living standards of the people. Better governance and institutions hold promise to deliver on macroeconomic stability and the much-needed productivity growth, human development, capital investment. The Fund is well-equipped and always ready to help, be it in a context of program support, technical assistance, or periodic surveillance of the economy and the financial system in the absence of a program arrangement. So, it will be up to the authorities to choose the mode of engagement with the Fund. Profit: How would you assess the tax and budget policy currently implemented by Moldova's Ministry of Finance? V.T. : The authorities have clearly focused on improving revenue performance. The tax administration reform initiated in 2016 has supported the increase in tax compliance, contributing to strong growth of corporate income tax and VAT in 2017 with strong performance also continuing this year. Customs have also shown strong revenue performance. While the steps taken are wide-ranging, one notable achievement is the unification of the main state and territorial tax inspectorates under the single entity of the State Tax Service. But there is still work underway to improve tax administration. For example, there are more revenue gains that improvements in IT infrastructure and electronic processes can bring. Better tax policies, such as to address "envelope wages", also offer revenue potential. With regard to the budget policy, the cause for concern has been, however, on the expenditure side. Under-execution of investment spending often due to uncertainty or delays at all stages, from project selection to implementation, does not bring comfort. Given the election year, care is needed to manage the wage bill and avoid budget over-runs. Profit: What about the monetary policy implemented by the NBM? Does the IMF have any comments or suggestions? V.T. : In our view, the monetary policy should remain focused on anchoring inflation at NBM's inflation target of 5 percent. Even though inflation is expected to decline further in the coming months, NBM's current policy setting is appropriately focused on the inflation expected in 2019 and even beyond. Via the series of interest rate cuts during 2016-2017, the NBM has responded appropriately to receding inflation pressures. But it hasn't been an easy task to calibrate monetary policy given the incomplete rehabilitation of the financial system and thereby a weakened policy transmission. At the moment, policy setting appears appropriate, and the NBM is monitoring the inflation outlook closely. Finally, there is still scope to improve operational capacity of monetary policy making, reinforce internal and external communication, and improve coordination across agencies. Profit: Moldova's national currency, the leu, appreciated by about 14 percent versus the dollar in 2017. How good or bad was this for Moldova's economy? What would the IMF's recommendations on this issue be? V.T. : For Moldova, like essentially for any small open economy, a flexible exchange rate regime is a backbone of economy's ability to cope with external shocks. Also, at the end of June, NBM's international reserves have reached a historically high level, which is more than adequate for precautionary purposes. So, our advice is to continue to limit intervention to smoothing of excessive exchange rate volatility and not resist movements driven by fundamentals, particularly when they are improving. That said, real appreciation generally affects exporters negatively. For small open economies, it is, however, impossible to boost competitiveness via managing the level of the exchange rate. I would say that an appropriate policy is continued implementation of structural reforms aimed at boosting productivity and improving external competitiveness while allowing a gradual increase in real wages. Profit: Is it expedient for the NBM to buy currency on the market in the situation when banks' liquidity exceeds 50%, and the purchase of currency means more lei on the market? V.T. : True, buying of foreign currency in the market entails injection of lei liquidity. But, other things equal, buying less foreign currency would mean an even stronger leu! However, what is of utmost importance to the NBM, as per the legal mandate, is ensuring and maintaining price stability. To that end, appropriate monetary stance entails sterilization of excessive liquidity via liquidity absorption operations, such as NBM certificates. But don't forget that sterilization is costly. It is imperative that operational independence of the NBM is underpinned by a viable balance sheet. Profit: One of the chapters of the program with the IMF focuses on the need to stabilize the financial and banking system in Moldova, on quality corporate governance in banks and attraction of strategic investors into the sector. How does the Fund assess the government's and the NBM's work in this direction so far? V.T. : The authorities are making significant progress in cleansing the financial sector, but continued action and vigilance are needed. The focus has been on securing shareholder transparency, fitness, and probity in systemic banks, and strengthening the framework for removing unfit shareholders. The NBM is also enhancing supervisory and regulatory frameworks, finalizing bank diagnostics, and bolstering financial safety nets. What has been very impressive is the ability of the NBM, the government and the parliament to work together as a team to deliver on the commitments taken. In all regards, this progress is a team effort and we have to commend the authorities on this. Profit: What is the IMF's opinion about the NBM's action plan aimed at selling 41.09% of shares of MAIB? V.T. : Progress with MAIB is an excellent example of team work involving all country authorities, not just the NBM alone, although as banking supervisor, they had a lion’s share of work on their plate. The passage of laws to facilitate the sale of previously cancelled shares in systemic banks enabled the authorities to undertake negotiations on the acquisition of "problem" shares in MAIB. Putting in place these laws was a prior action for the completion of the Second Review. So, we are also glad to see that it is translating into concrete outcomes. Profit: The government plans to send revenues from the sale of shares of MAIB and Moldincondbank to the state budget rather than to pay "old" shareholders, the stakes of which have been blocked and then cancelled by the NBM. Is this a justified decision? V.T. : I am not aware of such plans. But I can tell you that the legal framework, as also clarified by the November 2017 ruling of the Constitutional Court, provides in any case for payment of a fair monetary compensation to the previous owners of cancelled shares in banks. Also, the December 2017 ruling by the Arbitration Institute of the Stockholm Chamber of Commerce provides additional comfort on the applicability of monetary compensation to former shareholders in such cases. That said, if the state has claims on the "old" shareholders then it is a separate issue. Profit: Does the government have any agreement with the IMF as regards the deadline for the sale of 63.89% of Moldindconbank's shares? V.T. : The authorities plan to concentrate their efforts in the context of the next program review on MICB's exit from temporary administration in an orderly manner and with a view to facilitate a private sector solution. 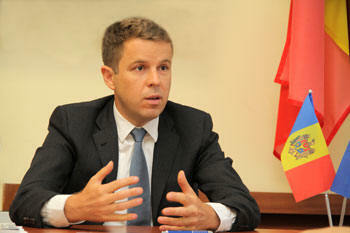 From our side, we also see this as a critical next step towards rehabilitation of Moldova's financial sector. The progress with Victoriabank and MAIB sets a good stage for this. Profit: How do you see progress of the Moldovan authorities in overcoming the legacy of Laundromat case and more generally effort to fight money laundering schemes? V.T. : Needless to say, right now fighting tax evasion and money laundering is an important challenge across the globe. For small emerging market economies, facilitating financial stability and capital flows has become more challenging due to increasing compliance costs and stricter approaches to assessing compliance by international monitoring agencies. In the context of the program, the Moldovan authorities have committed to continue to seek ways to demonstrate a clear regime shift when it comes to efforts to stamp out money-laundering. We see good progress with the adoption of the new anti-money-laundering law and continued strong efforts on this front. This is, however, an area where expedient action to fully implement the framework and ensure proper enforcement is critical. 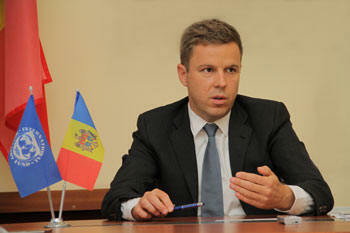 The MONEYVAL assessment mission planned for the fall of 2018 will be an important test for Moldova. Profit: The government and the parliament have announced plans to vote the law on the 2019 budget by the end of the current session. Is it advisable to vote on a budget that another parliament and government will have to implement? V.T. : I think it is much better to have a budget than not to have one. But budget is not the only element of budgetary framework for fiscal policy in 2019. There is MTBF which from the medium-term perspective establishes fiscal policy plans over a 3-year horizon. There is also the fiscal responsibility framework which underpins fiscal discipline on the ongoing basis and more generally. Finally, the budgetary process also allows mid-year revision to address possible policy changes and economic developments. Profit: Party of Socialists has repeatedly stated that it would review most of the international agreements signed by the current pro-European authorities if they come to power after the parliamentary elections. In the case of the program with the IMF, is this technically possible? What would that mean for Moldova? V.T. : As an apolitical and technocratic organization, we do not speculate on the outcomes of forthcoming elections or intentions of future governments. We have full agreement with the current government and the NBM on policy priorities and are focusing on their full implementation. Profit: What should Moldova do to receive the green light from international financial institutions, IMF including, to borrow money on foreign markets on commercial terms? V.T. : In principle, Moldova's current arrangement with IMF does not ban the Moldovan authorities from borrowing externally on commercial terms. In any case, such projects would need to be consistent with the objectives and macroeconomic parameters under the program. Let's not forget that there is still a good amount of concessional financial resources available out there for Moldova which would need to be explored first before embarking on commercial debts, which carry more risk and are more costly for the country. Profit: So, what do you see as the next steps in the financial sector for the remainder of Moldova's program with the IMF? V.T. : Foremost, continued action and vigilance are key. Speaking of priorities: first, the authorities need to ensure that all of the banks have fit and proper shareholders and managers. The recently approved legislation provides a comprehensive toolkit to deal with problem shareholders. Second, the NBM and the banks should continue to work towards robust corporate governance practices, in line with the implementation of the new Banking Law. There are also pending legal and regulatory changes with regard to contingency planning, deposit insurance and bank liquidation. Third, vigilance is needed not just in banks, but also in the non-bank financial sector, be it micro credit institutions, or insurance companies. The National Commission for Financial Market must ensure the highest quality frameworks and oversight to avoid arbitrage and the migration of risks. Lastly, building on the recently published Strategy for the Recovery of Stolen Assets, the authorities should undertake more decisive action to recover these assets.